Sam Strong is running. He left Redby, Minn., in the Red Lake Nation on July 29 with 50 other runners. Then, he and a smaller group headed for Leech Lake, aiming for Duluth. On July 31 they ran straight into a pow wow on the Fond du Lac reservation. They ran 200 miles to encourage sobriety as part of the Anishinabe Spirit Run. It’s the 19th run of its kind, and Strong’s seventh in as many years. “This run is huge for me,” he said, resting on the side of State Highway 89. Alcoholism landed Strong, 31, in some life-threatening situations when he was a teenager. He didn’t want to elaborate, saying only that he ended up in a rehab facility with doctors telling him he was lucky to be alive. Running became a form of therapy – the Spirit Run, a way to share its positive impact on his life. Event coordinator and former Red Lake Chairman Floyd “Buck” Jourdain said runners “crow-hop” the 200 miles. On long stretches they take turns, running two or three at a time for about half a mile. The goal, he said, is to carry four “Eagle Staves” all the way to Fond du Lac on foot. “The staves are vital,” Jourdain said. Addiction is a major problem on many Indian reservations – a fact brought home by a recent drug bust which netted 41 arrests on the Red Lake and White Earth reservations. 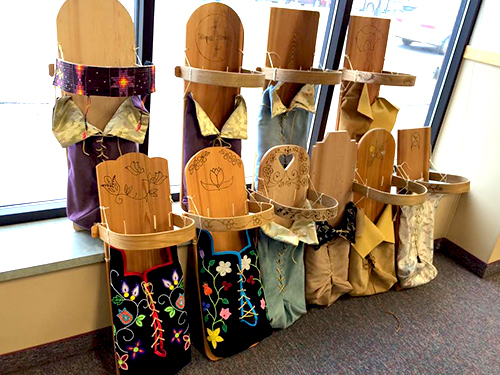 Jourdain said the staves – which represent sobriety, suicide prevention, youth and the Ojibwe language – are meant to bring healing to native peoples. For Strong, those staves carry a special meaning this year. Last fall he was diagnosed with Stage Three testicular cancer. He went through surgery and chemotherapy. His long hair fell out. After nine years of sobriety, he found himself revisiting the same dark places alcohol once brought on. He credits his traditional spirituality and prayer with carrying him through. For most, the run is about staying clean. 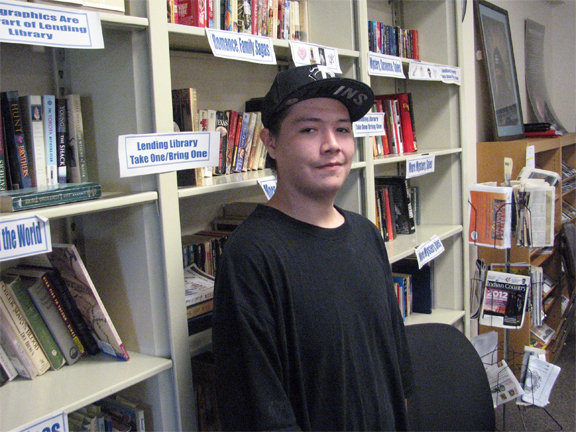 For Strong, it’s about something he called mino-bimaadiziwin. “It means the good life,” he said. As he spoke, the staff runners jogged past. He caught up to relieve them, gripping a staff in each hand. One of his friends did the same. They raised staves overhead and together let out a scream. Minnesota Public Radio News can be heard on MPR’s statewide radio network or online at www.mprnews.org .